Anabaena, Living is rated 5.0 out of 5 by 3. Genus and Species: Anabaena sp. Anabaena sp. Shows heterocysts and akinetes. This cyanobacteria culture contains enough material for a class of 30 students. This culture requires a low light level (50 to 100 foot-candles of fluorescent light or fluorescent light from the ceiling). Optimal medium: Alga-Gro® Freshwater. Optimum growth temperature: 22° C.
Rated 5 out of 5 by NosilaKate from Great product! 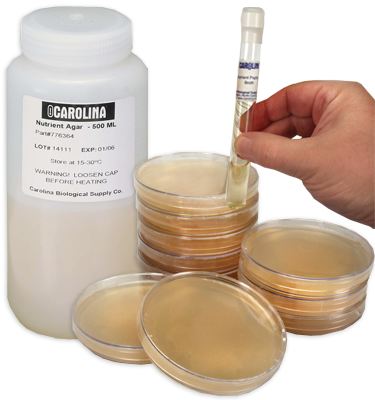 Very easy to work with and dependable results; have ordered/used twice with successful experiments for cyanobacteria. Also beautiful to view under microscope for experience. Love it! Rated 5 out of 5 by beaker69a from Excellent Service I am so happy with my purchase I plan to do it again soon.